Best Citrus / Lime genre scent I’ve tried so far. Taylor’s Lemon & Lime is sweetish, not really a citrone scent. Salter is superior to Trumper’s Lime and C. Tyrwhitt Lime (obsolete by now?) too. Haven’t tried Castle Forbes Lime and AOS Lemon though. Rich in oils and glycerine. Soft. Light. A joy to use. 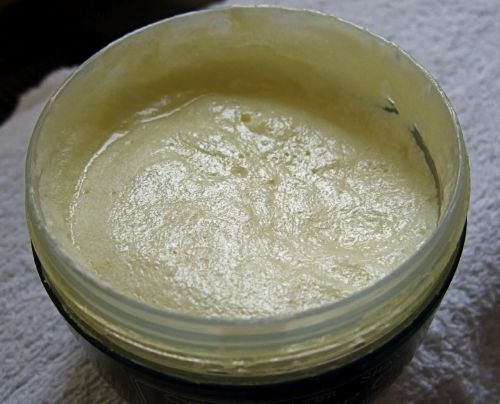 It makes very easily a rich lather.Lather is thick, doesn’t get dried. It’s not so dense, so you spend some more. But at £10 or less for a huge 200 ml pot, that’s not an issue at all.It seems to last for hundreds of shaves. Simple plastic pot, yet chic in navy blue color. 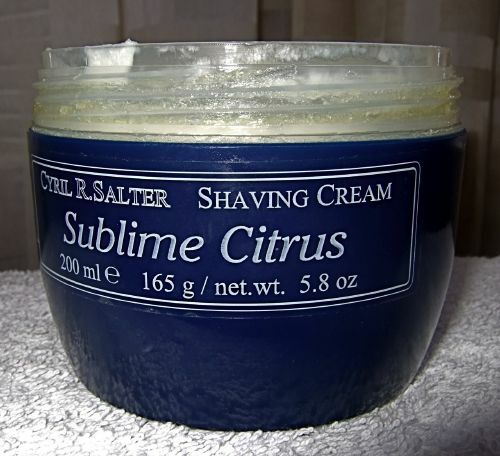 If you love citrus / lime scents, not sweet, but fresh and a bit sour, that cream is for you. It is for me.